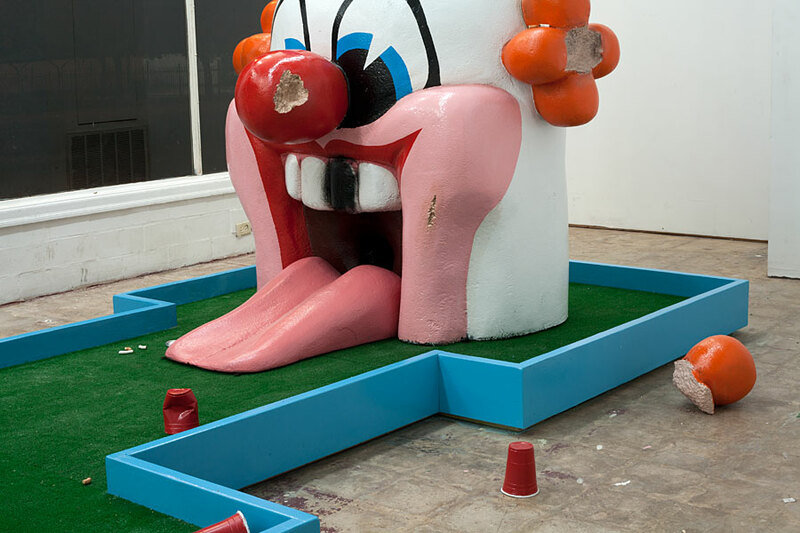 School Night depicts one hole of a miniature golf course, a recreational site closely associated with middle-class family life. 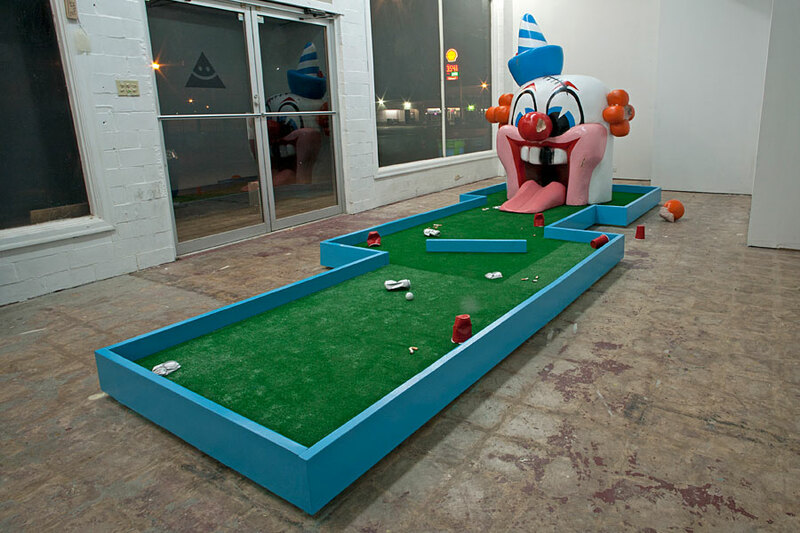 Yet, this particular course has become the scene of a clandestine late-night gathering of teenagers. 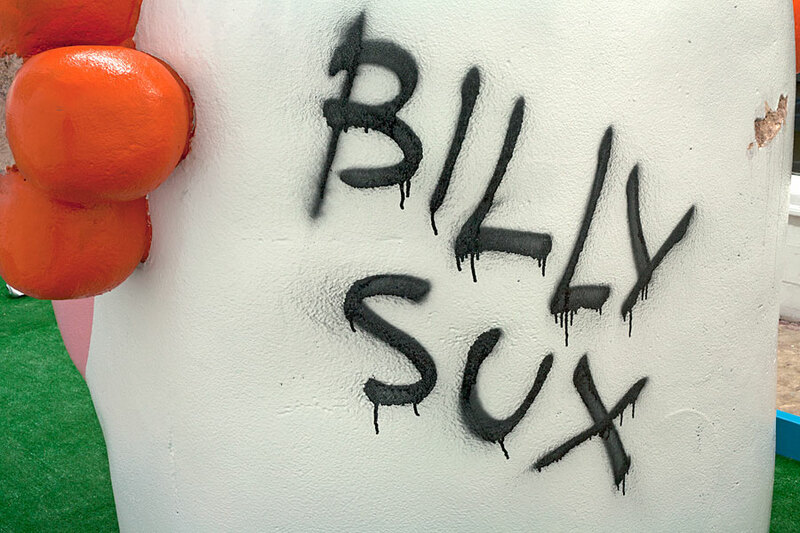 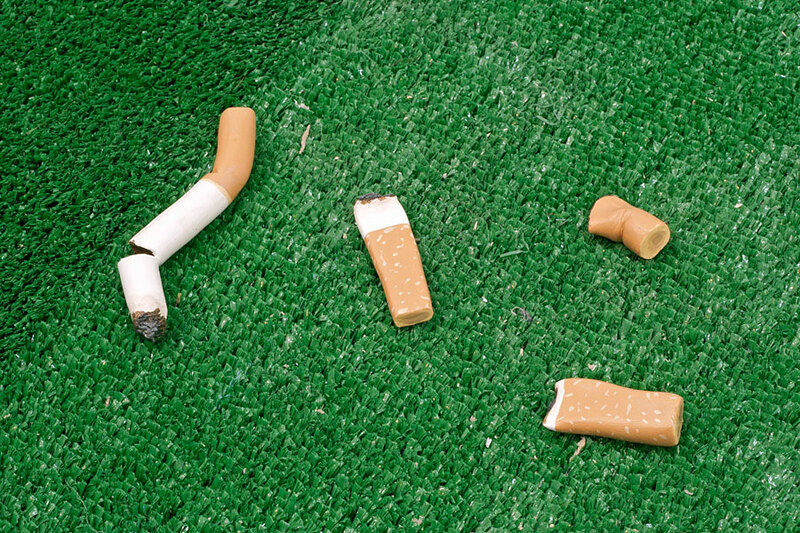 Cigarette butts, crushed beer cans, and the ubiquitous red Solo cup, along with evidence of petty vandalism, all suggest the transitional state between adolescence and adulthood—being too old for playgrounds but too young for bars. 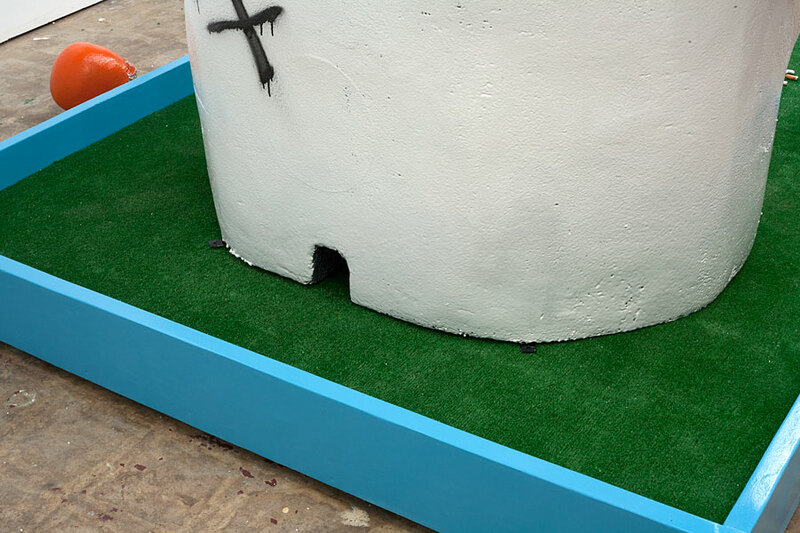 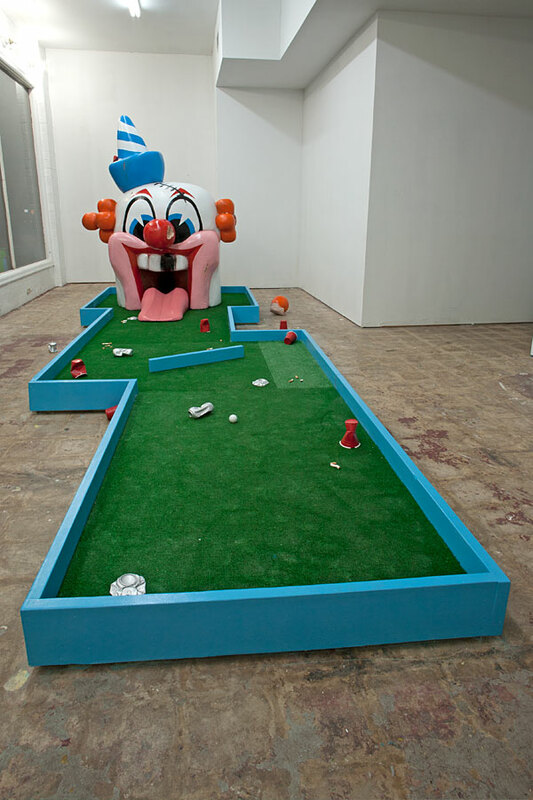 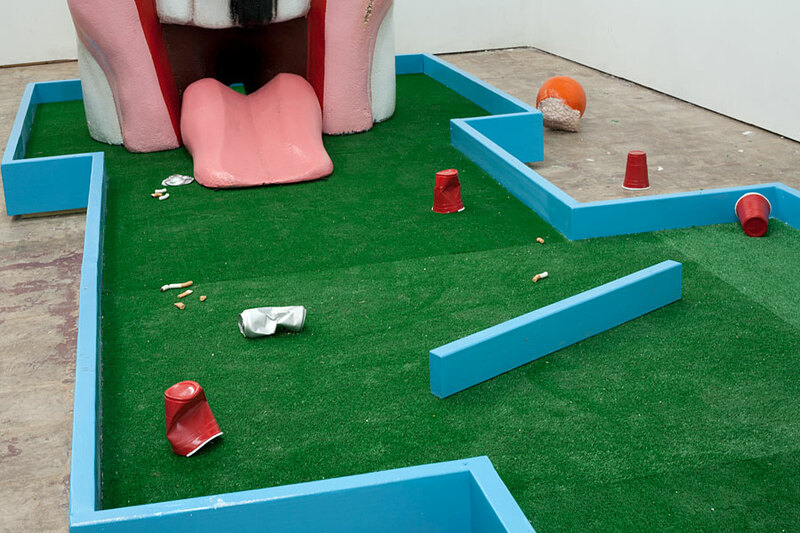 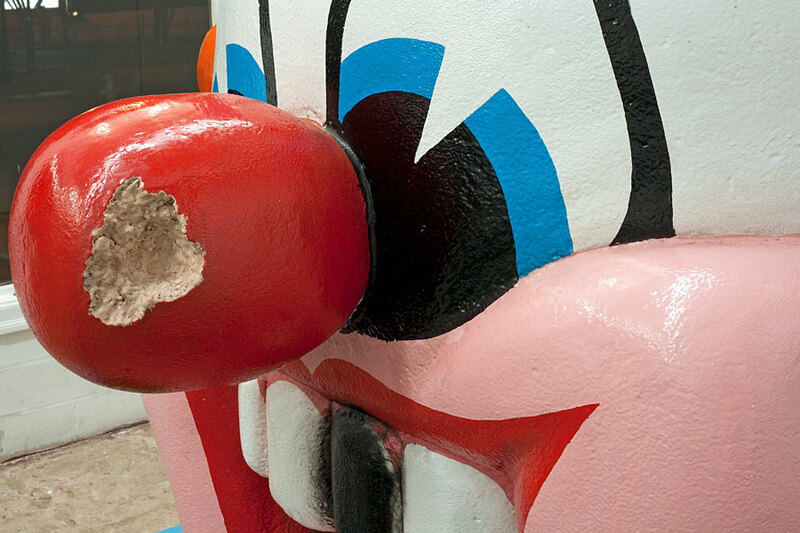 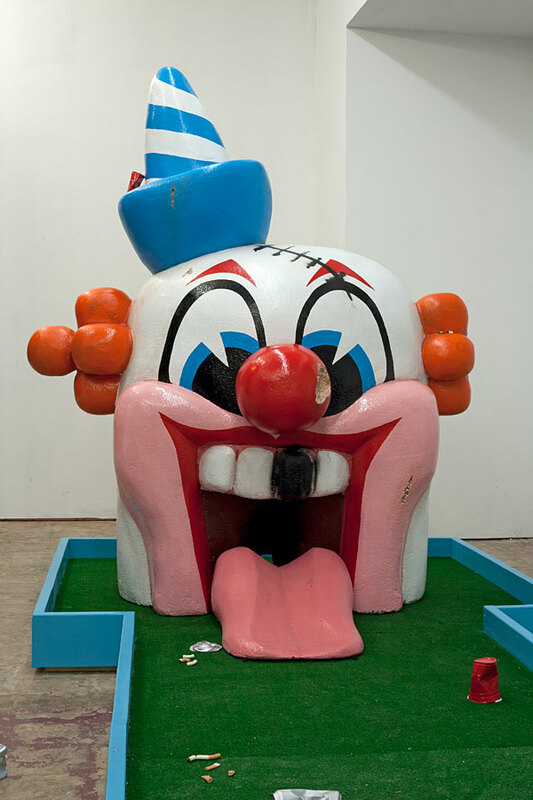 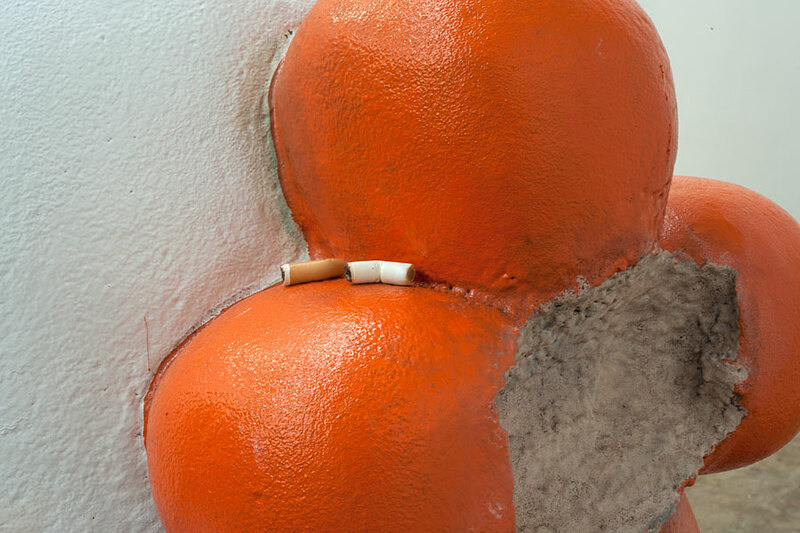 Made for “Art on the Green,” an exhibition of miniature golf holes exhibited at Laguna Gloria, School Night also stands alone as discreet sculptural object.